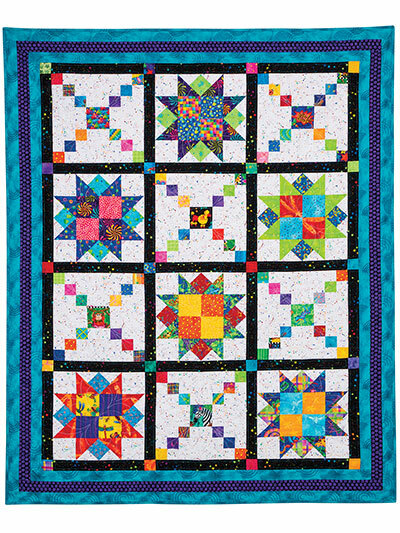 Stitch up this simple quilt in no time with a finished result that is both fun and gorgeous! Though the stars may look hard, the technique is super-easy. 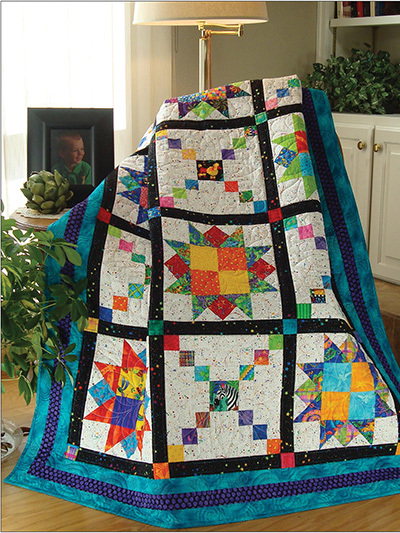 Full, step-by-step instructions are included with the pattern.